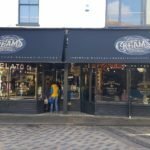 See the photos of recent project completed in Lyminge, Folkestone. The area is used for play equipment and is a great outdoor space for the children to play. 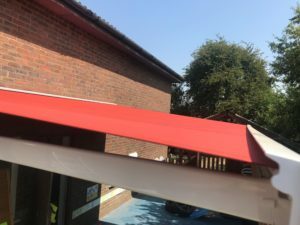 The client opted for two 5 metre luxaflex awnings with a striking red fabric. 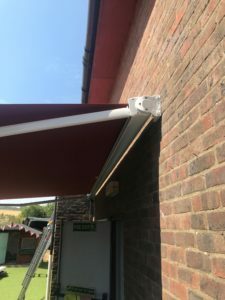 The awnings feature electric remote control operation but they also have the option of a manual override. 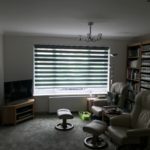 See below for all the benefits of installing one of our luxaflex base plus models. Don’t forget we install across the south east including London. 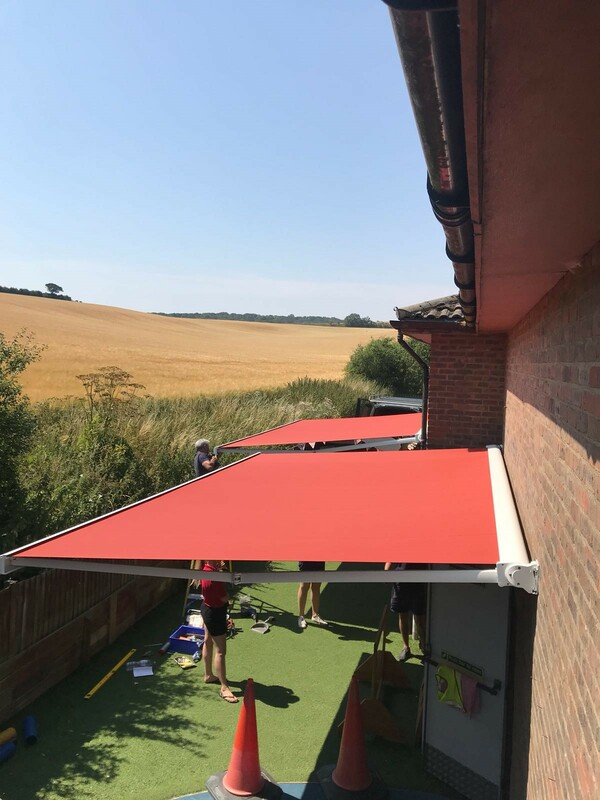 Warmth: an awning can keep in up to 10-20% of heat after the sun goes down under your shade for sitting out late. Add in a heater and lights to make a cosy outdoor room well into the night. Weather shielding: protecting your entrance way, outdoor furniture balcony planting or guests from the elements. Managing thermal gain: window awnings can keep the heat out of your home, cutting down on the need for air conditioning. Privacy: in close quarters windows and French doors can offer discretion from neighbours. 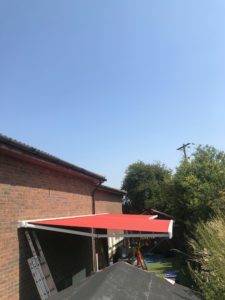 Protection: sun awnings offer shade from summer heat and sun damage. 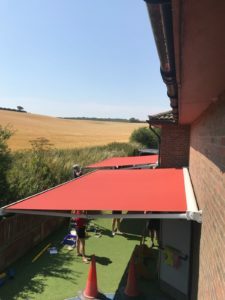 Water-resistant/proof: depending on the system they can keep your outdoor room snug and dry. Simplicity: motorised, retractable and electric designs keep the effort to a minimum.